Central brands shape category dynamics. They’re the first ones that come to mind when we think of the category. If I say “smartphone”, you say “Apple”, right? Well, you might say “Samsung” – and here is a good point to make right off the bat. Both of these brands are central to the smartphone category – but Apple is slightly more distinctive than Samsung, (to my mind at least), which means that it can generally command a slightly higher price for its handsets than its nearest rival. However, that is not to say that Apple is an out-and-out distinctive brand. Indeed, it has struck a balance between distinctiveness and centrality that enables it to be a household name, yet still enjoy a reputation for producing some of the highest quality products in the market that millions of consumers are happy to pay extra for. And so, we begin to see just how important striking the right balance between centrality and distinctiveness really is. 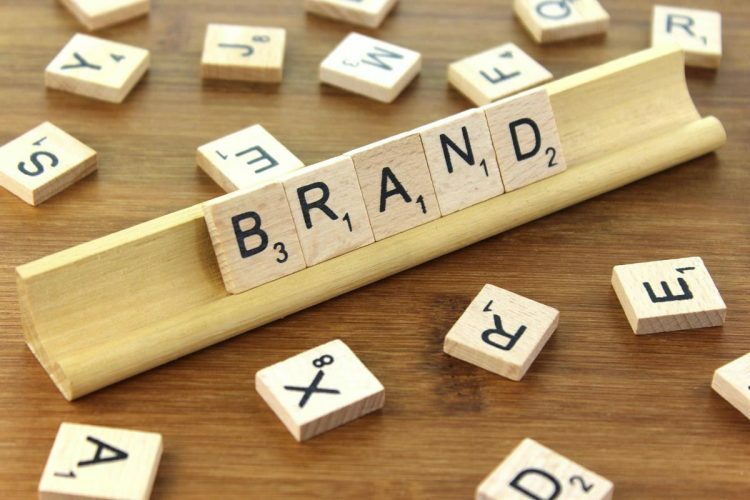 When developing brands, companies have choices to make, and these choices will affect how the brand is perceived by consumers, how many units can be sold under the banner of the brand, and at what price. Which would you pay more for – a Nissan or a Porsche? Even if you’re not a “petrol head”, the answer no doubt popped right into your mind. And that’s because these two long-standing brands have become associated in general consciousness with the price tags (among many other things, of course) that are generally attached to the products that they sell. Porsche makes high-powered, beautiful, “flashy” vehicles, and, for their owners, are somewhat of a status symbol. Porsche, indeed, is a distinctive brand. Nissan, on the other hand, is a brand that draws no such distinctiveness. Nissan is known for being reliable and dependable, and, as such, has a firm standing as a central brand. Both Nissan and Porsche, however, are successful brands – and their secret is that both, respectively, have struck a balance between centrality and distinctiveness that appeals to the consumers they are looking to attract. 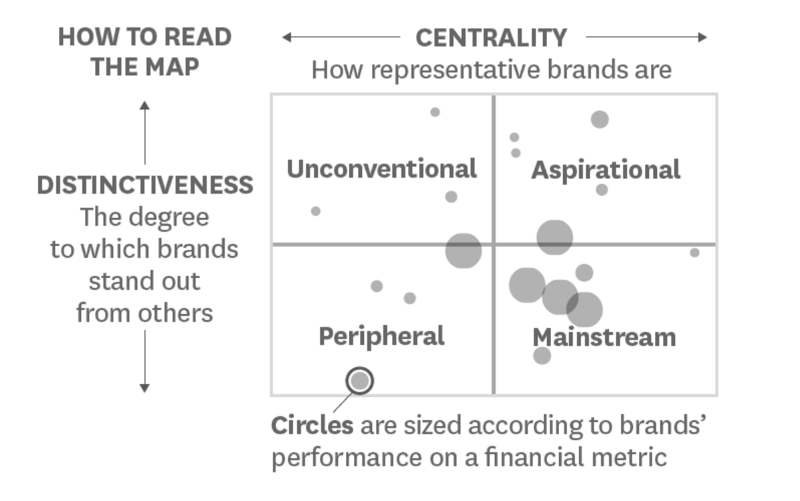 In an article for Harvard Business Review, Niraj Dawar and Charan K. Bagga created a model of brand Centrality-Distinctiveness to map out a brand’s position within the competitive landscape that it resides. 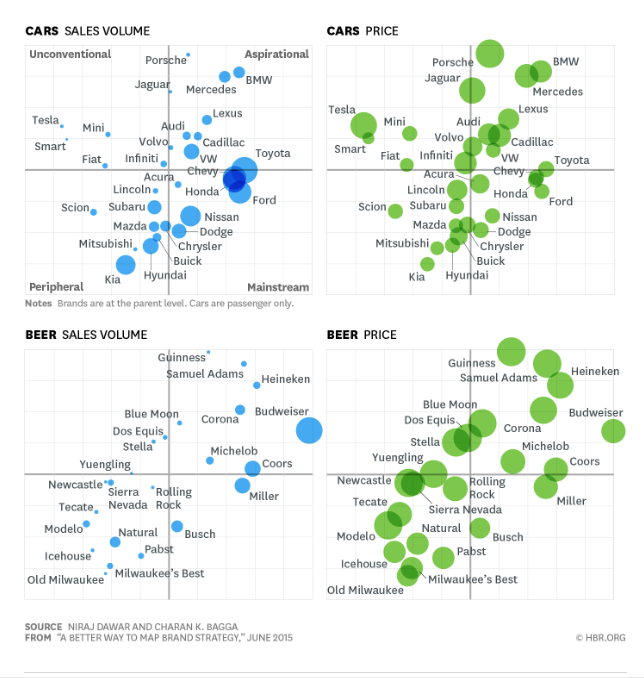 In the article, Dawa and Bagga provided two examples of their C-D maps, taking two brand categories into account – cars and beer in the US market. A number of adults were surveyed about their perceptions of 23 beer brands and 30 car brands. The respondents were asked how they perceived the brands in question, and instructed to rank them on a scale of 0-10 in terms of centrality and distinctiveness. The results were then inputted into a C-D map, where sales volumes and prices could also be compared. The results are below – but first, it’s important that we understand how to read C-D maps. Unconventional Brands are niche players, meaning that they are decidedly distinctive, and not particularly central. As such, unconventional brands should expect low sales volumes, and instead look for profitability through higher prices. Unconventional brands are not especially appealing to the population at large. Aspirational Brands are both central and distinctive – meaning that they have high sales volume, but can still command high prices because they are held in high regard. Aspirational brands, as you may suspect, often account the most profitability of the four quadrants. However, the key for aspirational brands in maintaining their position is in making their distinctive features just mainstream enough so that they are still widely popular without becoming run-of-the-mill. In this regard, aspirational brands must make high investments in marketing to fend off challengers from the mainstream and unconventional quadrants. Peripheral Brands are neither central nor distinctive. This means that they don’t sell very high volumes, are not held in high regard, and often not easily distinguished from one another. Peripheral brands may tend to position themselves as lower-priced alternatives to mainstream brands, but may not enjoy such high sales volumes. However, business models may still prove profitable due to low marketing and innovation costs. Mainstream Brands are central, but not necessarily distinctive. They are solid brands, (Nissans, Fords, etc. ), but lack the wow factor. Nonetheless, these brands appeal as “good deals” to large swathes of the population, and enjoy high sales volumes albeit at comparatively lower prices to their more distinctive counterparts. Here’s how the beer and car brands fared. A brand’s position on a C-D map can be used to formulate and optimise ongoing brand strategies. Most usefully, C-D maps can and should also be utilised for tracking not just a company’s own brand, but the position of all other brands in the category. In the above example, we can see that in both the beer and car markets, higher centrality scores equate to greater sales volume. Indeed, Budweiser, say Dawa and Bagga, captured almost 30% of the entire US beer market and were the most central brand in the category. Similarly, Toyota – also with the highest centrality score – was the only brand to sell more than one million passenger cars. These are not insignificant price increases by any stretch of the imagination. But, of course, distinctiveness comes at the cost of centrality and associated drop in sales volume. Strategically, therefore, getting the balance between distinctiveness and centrality right is imperative for the continued success of any brand. A brand’s position on a C-D map must reflect the company’s business model, and marketing tactics need to be employed to re-emphasise the brand’s position at every turn. C-D maps are complex. There are numerous variables that must be taken into consideration when mining the data that they produce. Indeed, brands should expect to see differing results when things like geography and demographics are taken into account. Nonetheless, they are valuable tools when used thoroughly and correctly. Here at Cope Sales and Marketing, we have a team of brand strategists that can help you plot your position on C-D maps and formulate tactics to improve distinctiveness and/or centrality. Shifting existing positions requires research, marketing, and many more commitments from other resources. We can help you achieve all of this. Please browse our site – www.cope-salesandmarketing.com – to find out more about our services, and take a look at our Branding Page for additional information on branding, and use our Contact Page to reach out. Looking forward to hearing from you.